Bead with Chinese coin shape. 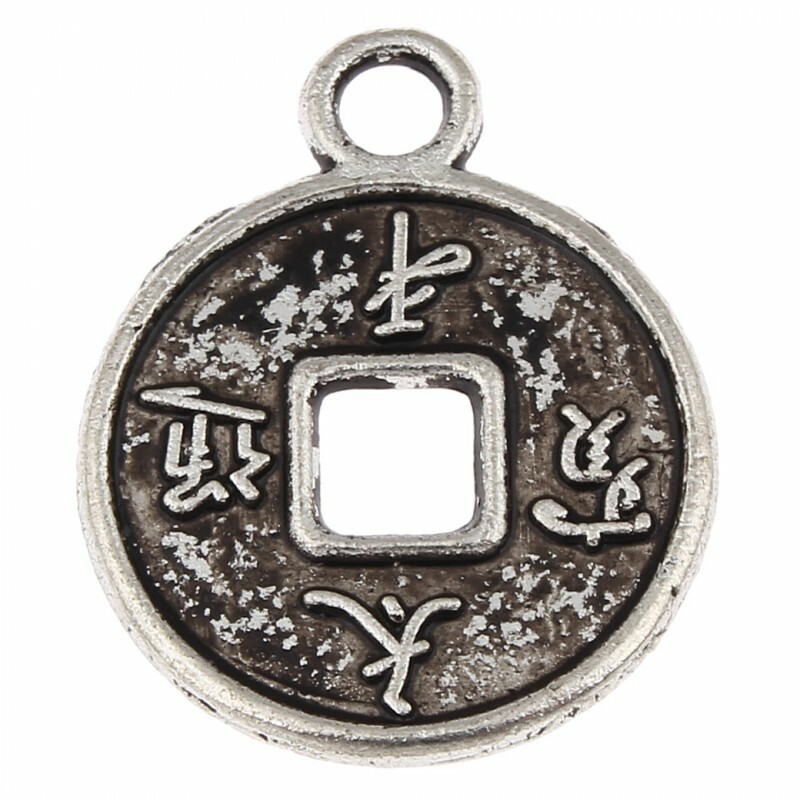 This is an original pendant shaped as a Chinese coin. It is carved on both sides and made of an antique silver color zinc alloy. This bead's measures are: 15 mm x 18 mm x 1 mm. The engagement hole is 3 mm in diameter. 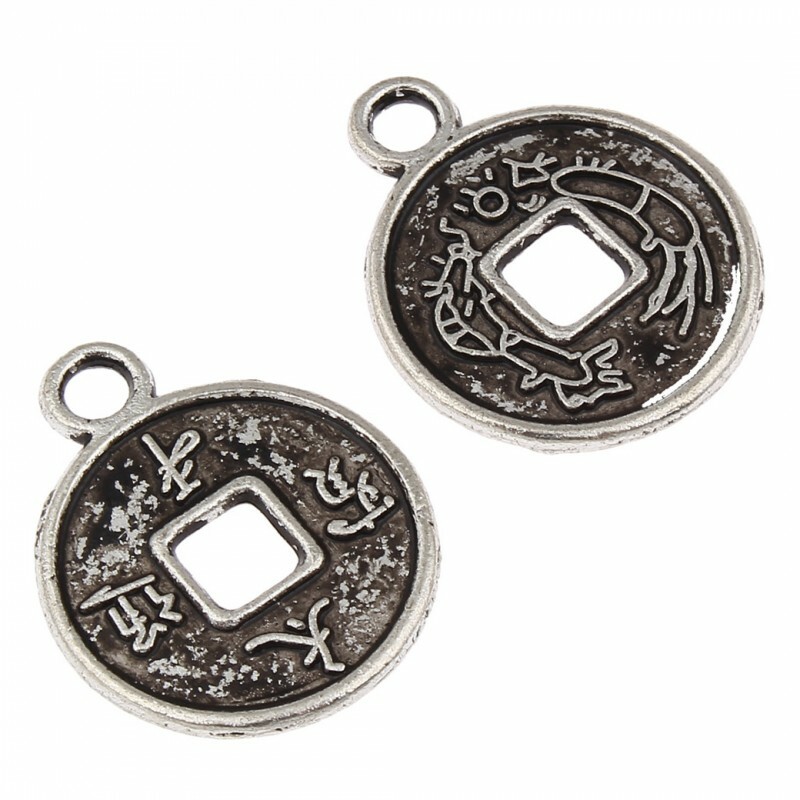 According to popular wisdom, the coin is an amulet to attract money. Each bag weighs 20 grams and contains about 26 pieces.